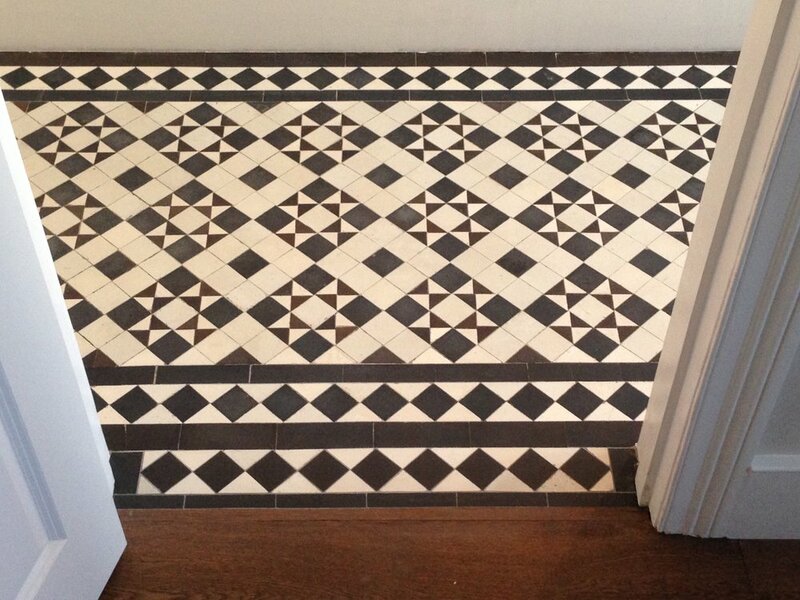 This scheme is a classic Victorian design composed of black and white tiles. At some point in time the component tiles had clearly loosened from the substrate and had been re-fixed incorrectly during an attempted repair. 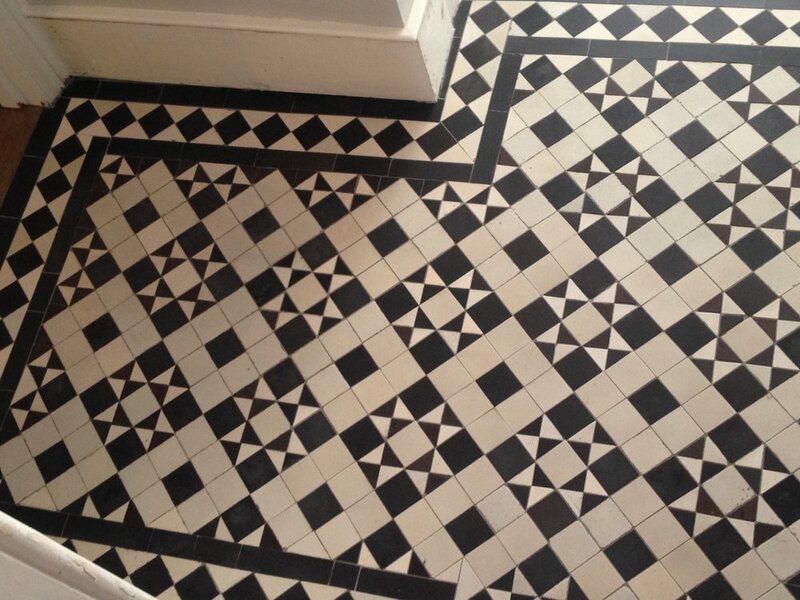 We carefully salvaged the required amount from within the area in order to then reinstate the correct design. 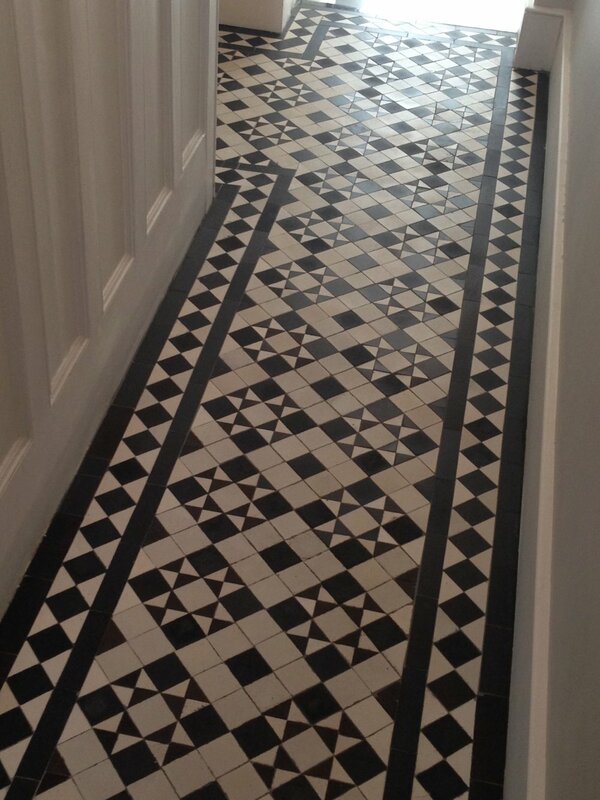 During such a process we aim to retain and utilise as many of the original tiles as possible. This either involves reducing the thickness of the tile or lowering the level of the base, ensuring that the tiles are fixed at the correct level. It is often necessary to produce replacements from modern matching material but with such a contrasting design, variations in tone often go unnoticed. Cleaning a floor such as this always produces an impressive result.